"Introduction to Nanoscale Science and Technology"
2009 - 2012: Polymer Science Advisory Board, Techulon, Inc.
2004 - 2007: Program Committee Member of "Conference on Lasers and Electro-Optics (CLEO)"
U.S. Patent #6,953,607 "Polar Ordering of Reactive Chromophores in Layer-by-Layer Nonlinear Optical Materials," K.E. Van Cott, J.R. Heflin, H.W. Gibson, R.M. 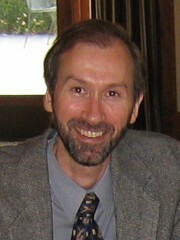 Davis (2005). U.S. Patent #7,336,861 "Fiber Optic Sensor or Modulator Using Tuning of Long Period Gratings with Self-Assembled Layers," Z. Wang, J.R. Heflin, S. Ramachandran (2008). U.S. Patent #7,772,013 "Enhancement of Second-Order Non-Linear Optical Susceptibilities in Organic Film Materials Using Non-Centrosymmetric Nanoparticles," H. Robinson, J.R. Heflin, R.M. Davis (2010). "Imidazolium-containing ABA Triblock Copolymers as Electroactive Devices," E. Margaretta, G.B. Fahs, D.L. Inglefield, C. Jangu, D. Wang, J.R. Heflin, R.B. Moore, T.E. Long, Appl. Mater. and Interfaces 8, 1280-1288 (2016). "Highly sensitive nano-aerosol detection based on the whispering-gallery-mode in cylindrical optical fiber resonators," D. Wang, Z.Wang, A. Lee, L.C. Marr, J.R. Heflin, Y. Xu, Aerosol Science and Technology 50, 1366-1374 (2016). "Detection of Methicillin-Resistant Staphylococci by Biosensor Assay Consisting of Nanoscale Films on Optical Fiber Gratings," A. Bandara, Z. Zuo, S. Ramachandran, A. Ritter, J.R. Heflin, T.J. Inzana, Biosensors and Bioelectronics 70, 433-440 (2015). "Temperature Evolution of Quasi-one-dimensional C60 Nanostructures on Rippled Graphene," C. Chen, H. Zheng, A. Mills, J.R. Heflin, C. Tao, Nature Sci. Rep. 5, 14336:1-7 (2015). "Stability of Anti-Reflection Coatings via the Self-Assembly Encapsulation of Silica Nanoparticles by Diazo resins," J.S. Metzman, J.I. Ridley, M.B. Khalifa, J.R. Heflin, J. Phys. Chem. Solids 87, 271-277 (2015). "Improved Self-Assembled Thiol Stationary Phases in Microfluidic Gas Separation Systems," H. Shakeel, D. Wang, J.R. Heflin, M. Agah, Sensors and Actuators B 216, 349-357 (2015). "Imidazole-containing Triblock Copolymers with a Synergy of Ether and Imidazolium Sites," C. Jangu, J.H. Wang, D. Wang, G. Fahs, J.R. Heflin, R.B. Moore, R.H. Colby, T.E. Long, J. Mater. Chem. C 3, 3891-3901 (2015). "Fabrication and Characterization of Periodically Patterned Silica Fiber Structures for Enhanced Second Order Nonlinearity," C. Daengngam, I. Kandas, I. Ashry, A. Wang, J.R. Heflin, Y. Xu, Opt. Exp. 23, 8113-8127 (2015). "Fluorescence Lifetime Based Characterization of Active and Tunable Plasmonic Nanostructures," I. Ashry, B. Zhang, M.B. Khalifa, J.A. Calderone, W.L. Santos, J.R. Heflin, H.D. Robinson, Y. Xu, Opt. Exp. 22, 20720-20726 (2014). "Opto-electrical Behavior of Pb(Zn1/3Nb2/3)O3-Pb0.97La0.03(Zr,Ti)O3 Transparent Ceramics with Varying Defect Structure," A. Kumar, D. Maurya, Y. Zhou, J. Metzman, J.R. Heflin, R. Bodnar, S. Priya, Energy Harvesting and Systems 1, 223-231 (2014). "Width-modulated Microfluidic Columns for Gas Separations," H. Shakeel, D. Wang, J.R. Heflin, M. Agah, IEEE Sensors J. 14, 3352-3357 (2014). "Impact of Lithography on the Fluorescence Dynamics of Self-assembled Fluorophores," I. Ashry, I. Kandas, X. Wei, J.A. Calderone, B. Zhang, H.D. Robinson, J R. Heflin, W.L. Santos, Y. Xu, Opt. Exp. 22, 12935-12943 (2014). "Evidence of Counterion Migration in Ionic Polymer Actuators via Investigation of Electromechanical Performance," W. Hong, C. Meis, J.R. Heflin, R. Montazami, Sensors and Actuators B 205, 371-376 (2014). "A Comparative Study of Nanoscale Coatings on Gold Electrodes for Bioimpedance Studies of Breast Cancer Cells," V. Srinivasaraghavan, J. Strobl, D. Wang, J.R. Heflin, M. Agah, Biomed. Microdevices 16, 689-696 (2014). "Well-defined Imidazolium ABA Triblock Copolymers as Ionic-Liquid-Containing Electroactive Membranes," C. Jangu, J.H. Wang, D. Wang, S. Sharick, J.R. Heflin, K. Winey, R.H. Colby, T.E. Long, Macromol. Chem. Phys. 215, 1319-1331 (2014). "Green-colouring Electrochromic Devices of Water-soluble Polyaniline," V. Jain, H.M. Yochum, R. Montazami, J.R. Heflin, Nanomaterials and Energy 3, 215-221 (2014). "Highly Stable Surface Functionalization of Microgas Chromatography Columns Using Layer-by-Layer Self-Assembly of Silica Nanoparticles," D. Wang, H. Shakeel, J. Lovette, G.W. Rice, J.R. Heflin, M. Agah, Analyt. Chem. 85, 8135-8141 (2013). "High Quality Factor Silica Microspheres Functionalized with Self-Assembled Nanomaterials," I. Kandas, B. Zhang, C. Daengngam, I. Ashry, C-Y. Jao, B. Peng, H.D. Robinson, J.R. Heflin, L. Yang, Y. Xu, Opt. Exp. 21, 20601-20610 (2013). "Improved Performance of Micro-Fabricated Preconcentrators Using Silica Nanoparticles as a Surface Template," M. Akbar, D. Wang, R. Goodman, A. Hoover, G. Rice, J.R. Heflin, M. Agah, J. Chromat. A 1322, 1-7 (2013). "Self-assembled Nanomaterials for Nonlinear Fiber Optics and Tunable Plasmonics," I. Ashry, C. Daengngam, I. Khandas, J.R. Heflin, H.D. Robinson, Y. Xu, Proc. of SPIE 8845, 88450D:1-9 (2013). "RAFT Synthesis of ABA Triblock Copolymers as Ionic Liquid-Containing Electroactive Membranes," T. Wu, D. Wang, M. Zhang, J.R. Heflin, R.B. Moore, T.E.Long, Appl. Mater. and Interfaces 4, 6552-6559 (2012). "Influence of Conductive Network Composite Structure on the Electromechanical Performance of Ionic Electroactive Polymer Actuators," R.Montazami, D. Wang, J.R. Heflin, International Journal of Smart and Nano Materials 3, 204-213 (2012). "Synthesis of Imidazolium ABA Triblock Copolymers for Electromechanical Transducers," M.D. Green, D. Wang, S.T. Hemp, J.-H. Choi, K. Winey, J.R. Heflin, T.E. Long, Polymer 53, 3677-3686 (2012). "Probing the Photonic Density of States Using Layer-by-Layer Self-Assembly," I. Ashry, B. Zhang, S.V. Stoianov, C. Daengngam, J.R. Heflin, H.D. Robinson, Y. Xu, Opt. Lett. 37, 1835-1837 (2012). "Imidazolium Sulfonate-containing Pentablock Copolymer Ionic Liquid Membranes for Electroactive Actuators," R. Gao, D. Wang, J.R. Heflin, T.E. Long, J. Mater. Chem. 22, 13473-13476 (2012). "Equivalent Circuit Modeling of Ionomer and Ionic Polymer Conductive Network Composite Actuators Containing Ionic Liquids," Y. Liu, R. Zhao, M. Ghaffari, J. Lin, S. Liu, H. Cebeci, R.G. de Villoria, R. Montazami, D. Wang, B.L. Wardle, J.R. Heflin, Q.M. Zhang, J. Sensors and Actuators, A: Physical 181, 70-76 (2012). "Fabrication and Characterization of ZnTPP:PCBM Bulk Heterojunction Solar Cells," S.M. Khan, M. Kaur, J.R. Heflin, M.H. Sayyad, J. Phys. Chem. Solids 72, 1430-1435 (2011). "Demonstration of a Cylindrically-Symmetric Second-Order Nonlinear Fiber with Self-Assembled Organic Surface Layers," C. Daengngam, M. Hofmann, Z. Liu, A. Wang, J.R. Heflin, Y. Xu, Optics Express 19, 10326-10335 (2011). "Characterization of Poly(2,6-diphenyl-p-pheneylene oxide) Films as Adsorbent for Microfabricated Preconcentrators," B. Alfeeli, V. Jain, R.K. Johnson, F.L. Beyer, J.R. Heflin, M. Agah, Microchemical Journal 98, 240-245 (2011). "Thickness Dependence of Curvature, Strain, and Response Time in Ionic Electroactive Polymer Actuators Fabricated via Layer-by-Layer Assembly," R. Montazami, S. Liu, Y. Liu, D. Wang, Q. Zhang, J.R. Heflin, J. Appl. Phys. 109, 104301:1-5 (2011). "High Contrast Asymmetric Solid State Electrochromic Devices Based on Layer-by-Layer Deposition of Polyaniline and Poly(aniline sulfonic acid)," R. Montazami, V. Jain, J.R. Heflin, Electrochimica Acta 56, 990-994 (2010). "Ion Transport and Storage of Ionic Liquids in Ionic Polymer Conductor Network Composites," Y. Liu, S. Liu, J. Lin, D. Wang, V. Jain, R. Montazami, J.R. Heflin, J. Li, L. Madsen, and Q.M. Zhang, Appl. Phys. Lett. 96, 223503:1-3 (2010). "Influence of the Conductor Network Composites on the Electromechanical Performance of Ionic Polymer Conductor Network Composite Actuators," S. Liu, R. Montazami, Y. Liu, V. Jain, M. Lin, X. Zhou, J.R. Heflin, Q.M. Zhang, Sensors and Actuators A 157, 267-275 (2010). "Interface Effects in Plasmon-enhanced Second Harmonic Generation from Self-assembled Multilayer Films," K. Chen, C. Durak, A. Garg, C. Brands, R.M. Davis, J.R. Heflin, H.D. Robinson, J. Opt. Soc. Am. B 27, 92-984 (2010). "Concentration Gradient P3OT/PCBM Photovoltaic Devices Fabricated by Thermal Interdiffusion of Separately Spin-Cast Organic Layers," M. Kaur, A. Gopal, R.M. Davis, J.R. Heflin, Solar Energy Materials & Solar Cells 93, 1779-1784 (2009). "Layer-by-layer Self-Assembled Conductive Network Composites in Ionic Polymer Metal Composite Actuators with High Strain Response," S. Liu, R. Montazami, Y. Liu, V. Jain, M. Lin, J.R. Heflin, Q.M. Zhang, Appl. Phys. Lett. 95, 023505:1-3 (2009). "Biosensors Employing Ionic Self-Assembled Multilayers Adsorbed on Long-Period Fiber Gratings," Z. Wang, J.R. Heflin, K. Van Cott, R.H. Stolen, S. Ramachandran, S. Ghalmi, Sensors and Actuators B 139, 618-623 (2009). "Fabrication of Nonlinear Optical Devices in Ionic Self-Assembled Multilayers," A. Kroetch, S.Buswell, S.E. 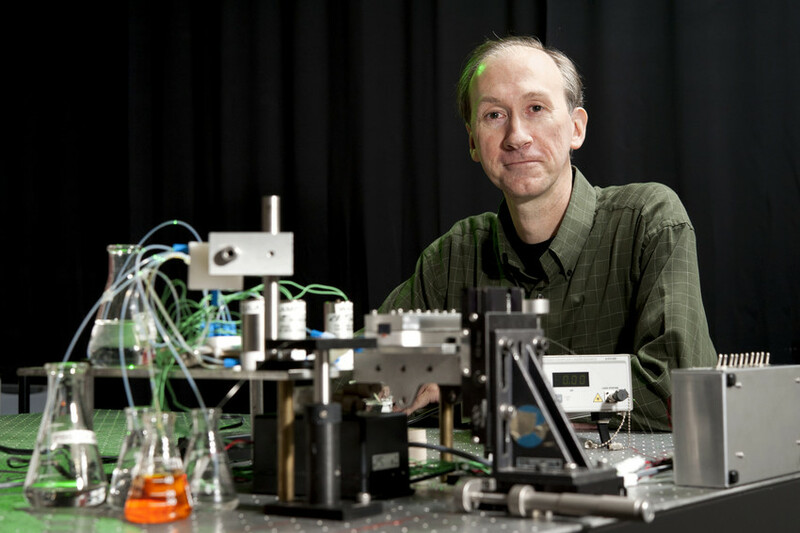 Evoy, C. Durak, J.R. Heflin, V. Kochergin, R. Duncan, J. Micro/Nanolithography, MEMS, and MOEMS 8, 013011:1-11 (2009). "Nanoscale Patterning of Ionic Self-Assembled Multilayers," A. Tulpar, Z. Wang, C.-H. Jang, V. Jain, J.R. Heflin, W.A. Ducker Nanotechnology 20, 155301:1-5 (2009). "High-Contrast Solid-State Electrochromic Devices of Viologen-Bridged Polysilsesquioxane Nanoparticles Fabricated by Layer-by-Layer Assembly," V. Jain, M. Kiterer, R. Montazami, H.M. Yochum, K.J. Shea, J.R. Heflin, Appl. Mater. and Interf. 1, 83-89 (2009). "Synthesis and Characterization of Regioregular Water-Soluble Propylenedioxythiophene Derivative and Its Application in the Fabrication of High-Contrast Solid-State Eelectrochromic Devices," V. Jain, R. Sahoo, S.P. 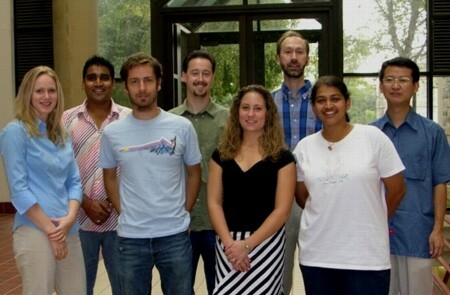 Mishra, J. Sinha, R. Montazami, H.M. Yochum, J.R. Heflin, A. Kumar, Macromol. 100, 135-140 (2009). "Second Order Parametric Processes in Nonlinear Silica Microspheres," Y. Xu, M. Han, A. Wang, Z. Liu, J.R. Heflin, Phys. Rev. Lett. 42, 163905:1-4 (2008). "Study of Film Structure and Adsorption Kinetics of Polyelectrolyte Multilayer Films: Effect of pH and Polymer Concentration," A. Garg, J.R. Heflin, H.W. Gibson, R.M. Davis, Langmuir 24, 10887-10894 (2008). "High Contrast Solid State Electrochromic Devices Based on Ruthenium Purple Nanocomposites Fabricated by Layer-by-Layer Assembly," V. Jain, R. Sahoo, J. Jinschek, R. Montazami, H.M. Yochum, F.L. Beyer, A. Kumar, J.R. Heflin, Chem. Commun. 2008, 3663-3665 (2008). "Polar Orientation of a Pendant Anionic Chromophore in Thick Layer-by-Layer Self-Assembled Polymeric Films," A. Garg, R.M. Davis, C. Durak, J.R. Heflin, H.W. Gibson, J. Appl. Phys. 104, 053116:1-8 (2008). "Modification of Single-Walled Carbon Nanotube Electrodes by Layer-by-Layer Assembly for Electrochromic Devices," V. Jain, H.M. Yochum, R. Montazami, J.R. Heflin, L. Hu, G. Gruner, J. Appl. Phys. 103, 074504:1-5 (2008). "Millisecond Switching in Sold-State Electrochromic Polymer Devices Fabricated from Ionic Self-Assembled Multilayers," V. Jain, H.M. Yochum, R. Montazami, J.R. Heflin, Appl. Phys. Lett. 92, 033304:1-3 (2008). "Solid-state Electrochromic Devices via Ionic Self-Assembled Multilayers of a Polyviologen," V. Jain, H. Yochum, H. Wang, R. Montazami, M.A.V. Hurtado, A. Mendoza-Galvan, H.W. Gibson, J.R. Heflin, Macromol. Chem. Phys. 209, 150-157 (2008). "Plasmon-Enhanced Second Harmonic Generation from Ionic Self-Assembled Multilayer Films," K. Chen, C. Durak, J.R. Heflin, H.D. Robinson, Nano Lett. 7, 254-258 (2007). "Proposal and Analysis of a Silica Fiber with a Large and Thermodynamically Stable Second Order Nonlinearity," Y. Xu, A. Wang, J.R. Heflin, Z. Liu, Appl. Phys. Lett. 90, 211110:1-3 (2007). "Efficient, Thermally-Stable, Second Order Nonlinear Response in Organic Hybrid Covalent/Ionic Self-Assembled Films," J.R. Heflin, M.T. Guzy, P.J. Neyman, K.J. Gaskins, C. Brands, Z. Wang, H.W. Gibson, R.M. Davis, K.E. Van Cott, Langmuir 22, 5723-5727 (2006). "The Influence of Void Space on Antireflection Coatings of Silica Nanoparticle Self-Assembled Films," S.E. Yancey, W. Zhong, J.R. Heflin, A.L. Ritter, J. Appl. Phys. 99, 034313:1-10 (2006). "Analysis of Optical Response of Long-Period Fiber Gratings to nm-Thick Thin-Film Coatings," Z. Wang, J.R. Heflin, R.H. Stolen, S. Ramachandran, Opt. Express 13, 2808-2813 (2005). "Highly Sensitive Optical Response of Optical Fiber Long Period Gratings to Nanometer-thick Ionic Self-assembled Multilayers," Z. Wang, J.R. Heflin, R.H. Stolen, S. Ramachandran, Appl. Phys. Lett. 86, 223104:1-3 (2005). "Improved Morphology of Polymer-Fullerene Photovoltaic Devices with Thermally-Induced Concentration Gradients," M. Drees, R.M. Davis, J.R. Heflin, J. Appl. Phys. 97, 036103:1-3 (2005). "Thickness Dependence, in situ Measurements, and Morphology of Themally-controlled Interdiffusion in Polymer-C60 Photovoltaic Devices," M. Drees, R.M. Davis, J.R. Heflin, Phys. Rev. B 69, 165320:1-6 (2004). "Creation of a Gradient Polymer-Fullerene Interface in Photovoltaic Devices by Thermally Controlled Interdiffusion," M. Drees, K. Premaratne, W. Graupner, J.R. Heflin, R.M. Davis, D. Marciu, M. Miller, Appl. Phys. Lett. 81, 4607-4609 (2002). "Layer-by-Layer Deposition and Ordering of Low Molecular Weight Dye Molecules for Second Order Nonlinear Optics," K. Van Cott, M. Guzy, P. Neyman, C. Brands, J.R. Heflin, H.W. Gibson, R.M. Davis, Angew. Chem. Int. Ed. 41, 3236-3238 (2002). "Thickness Dependence of Second Harmonic Generation in Thin Films Fabricated from Ionically Self-Assembled Monolayers," J.R. Heflin, C. Figura, D. Marciu, Y. Liu, and R.O. Claus, Appl. Phys. Lett. 74, 495 (1999). "Enhanced Nonlinear Optical Reponse of an Endohedral Metallofullerene through Metal-to-Cage Charge Transfer," J.R. Heflin, D. Marciu, C. Figura, S. Wang, P. Burbank, S. Stevenson, and H.C. Dorn, Appl. Phys. Lett. 72, 2788 (1998). "Excited State Enhancement of Optical Nonlinearities in Linear Conjugated Molecules," D. C. Rodenberger, J. R. Heflin, and A. F. Garito, Nature 359, 309 (1992).